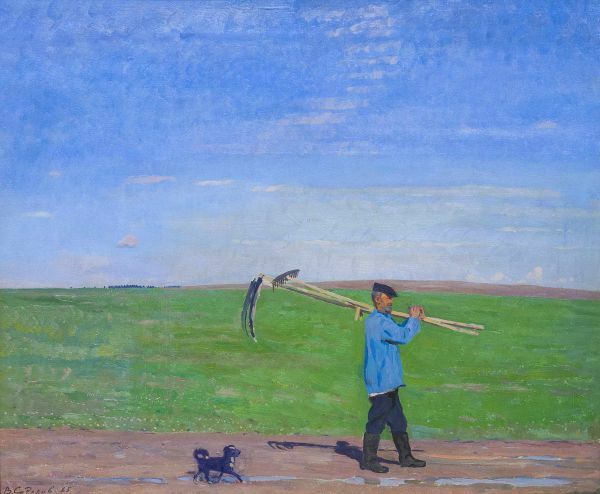 Buy works – Sidorov Valentin Mikhailovih | (born 1928, the Tver Province). 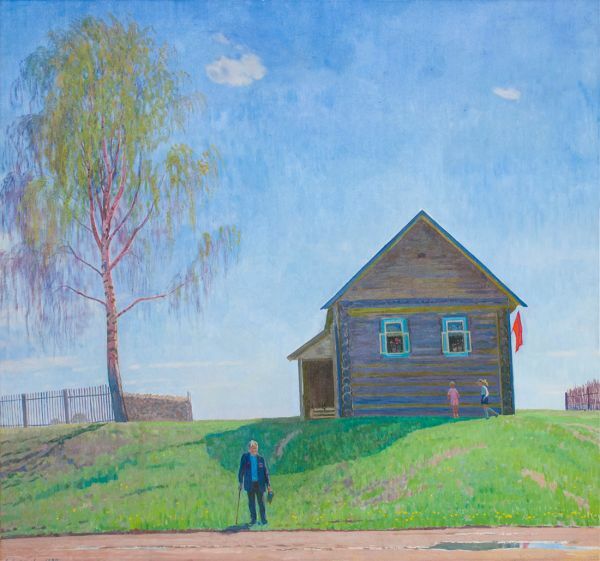 Sidorov Valentin Mikhailovih (born 1928, the Tver Province). 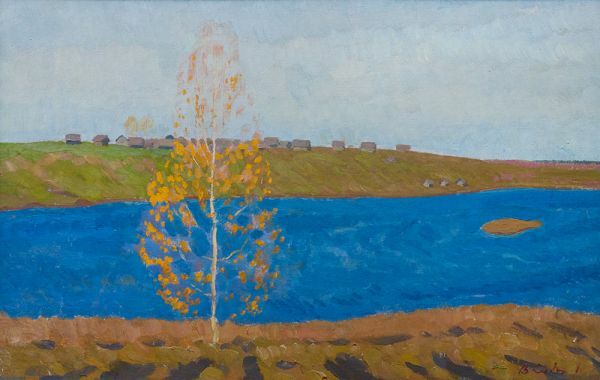 People’s Artist of the USSR, Laureate of State Prizes, member of Presidium of the Russia Academy of Arts, Chairman of Board of the Association of Painters of Russia. In 1948 entered the I.E. Repin Institute of Painting, Sculpture and Architecture, where studied under P. Belousov, R. Frenz and I. Spepashkin. 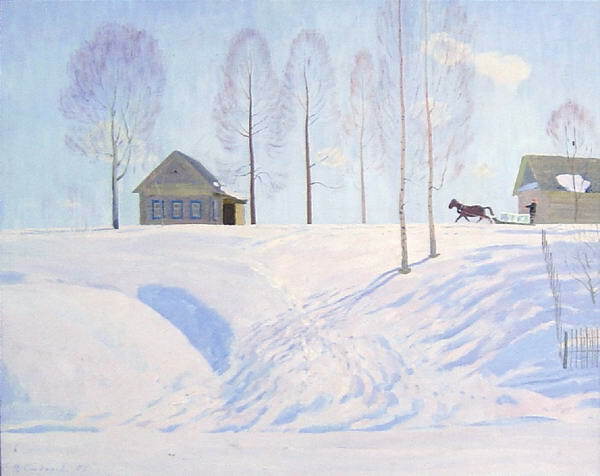 Graduated from the Surikov Moscow State Institute of Arts in 1954, after having passed the course under P.I. Kotov, F.P. Reshetnikov and V.G. Tsyplakov. In 1960-1966 headed the ‘Academic Dacha’. Traveled a lot in Siberia, the Pamirs and abroad. 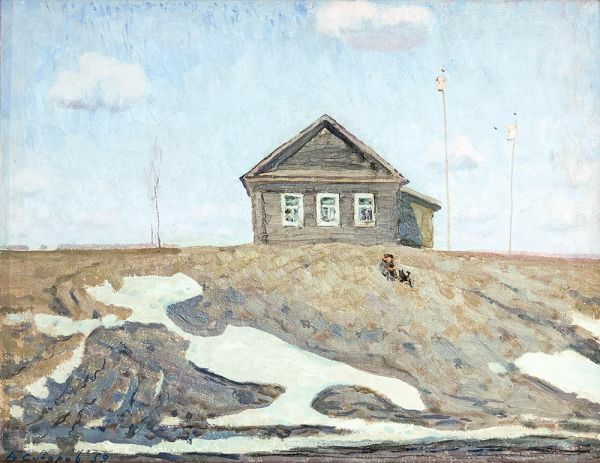 Permanent participant of the municipal, regional, All-Russia and All-Union Art Exhibitions as well as the Russian Fine Arts Exhibitions abroad since 1951. In 1997 appeared as a designer of the ballet ‘Song about merchant Kalashnikov’ (music by V. Kazenin). At the Omsk Theater of Opera and Ballet. Member the Russia Writers Union (2001), Laureate of the Sholokhov Prize (2000), author of the book ‘Edge of Inspiration’ (1984), the novel ‘Burn as bright as you can’ (2001), series of stories about artists in the ‘Mir Muzeya” (‘The World of Museum’) MagazineIn 1996 was awarded with the Golden Medal of the Russian Academy of Arts for the works created in 1993-1995 and on year later became the Laureate of the State Prize of Russia for the series of picturesque works ‘My quite Motherland’: ‘June Evening’ (1994), ‘My quite Motherland’ (1994-95), ‘Hay –mowing morning’ (1995), ‘Spring. 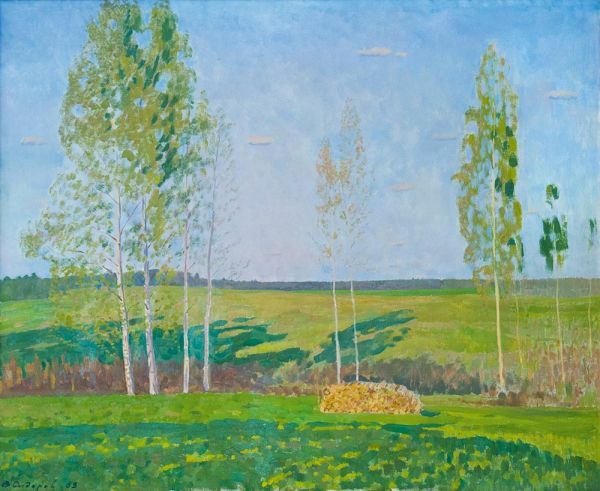 High Sky’ (1990-1996)/ The artist’s works are kept at the State Tretiakov Gallery, the State Russian Museum and great number of regional Museums. 350000 - 450000 rub. 350000 - 450000 rub. March. Ice has been Brought. 100000 - 102000 rub. 100000 - 102000 rub. Victory Day. Lot is withdrawn.